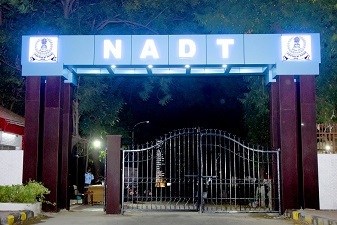 The National Academy of Direct Taxes ‘NADT’ is the apex training Institution of the Officers of the Direct Taxes Administration in India. 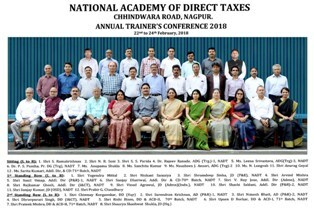 Apart from conducting the Induction training for the Officer Trainees of the Indian Revenue Service ‘IRS’ , NADT also conducts a number of In-service courses for the middle to senior management level officials of the Income Tax Department. 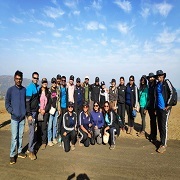 The frontiers of training at NADT travel beyond the Department and NADT imparts training on varied topics including taxation, management and finance to Group A officers of other Services of Government of India and also to the tax administrators of various other countries. It performs the critical and overarching goal of developing, enhancing, monitoring and modelling the human capital, fortunes of the nation's Direct Taxes strategies and administration. Over the years, it has enhanced and embellished national interest by moulding human capital aspirations and functioning as a ‘best-interest’ think-tank in tax policy and administration. The Academy imparts proficiency in core competency areas, disseminates information about the best of academics and practices and provides an international perspective, high quality professional capabilities and cultural sensitivities to officers. Besides training, high quality career planning, profiling & progression and continued development of the Direct Taxes Administration personnel to serve the country’s national interest is also a part of NADT's functional matrix.